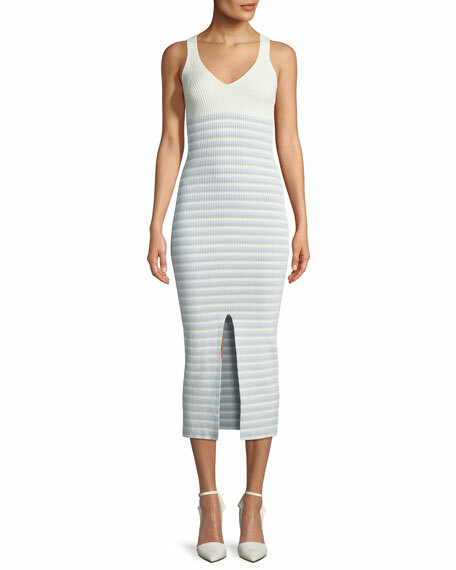 Opening Ceremony striped rib-knit dress. For in-store inquiries, use sku #2464696. 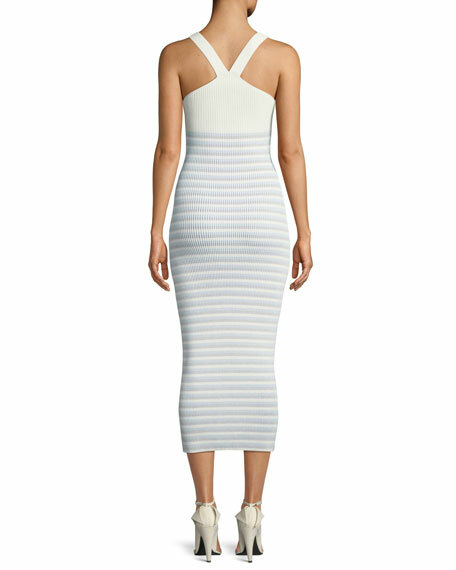 Jonathan Simkhai knit dress with lace detail. V neckline. Long bell sleeves. A-line silhouette. Maxi length. Fringe hem. Slipover style. Cotton main & combo. Machine wash. Imported. 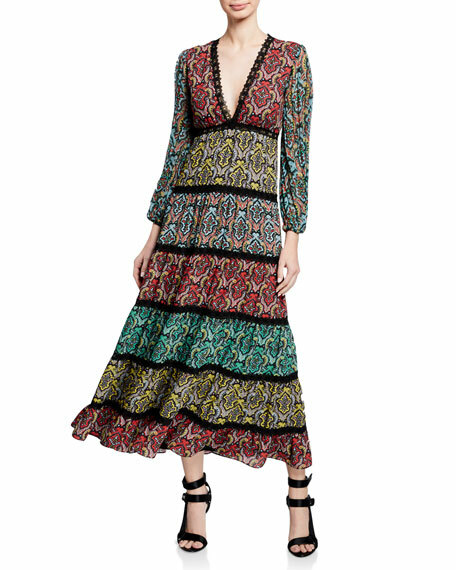 Missoni dress in zigzag knit. V neckline with mesh inset. Sleeveless; covered shoulders. Self-tie sash at waist. A-line silhouette. Floor length. Rayon/cupro/polyester. Silk/spandex lining. Made in Italy. 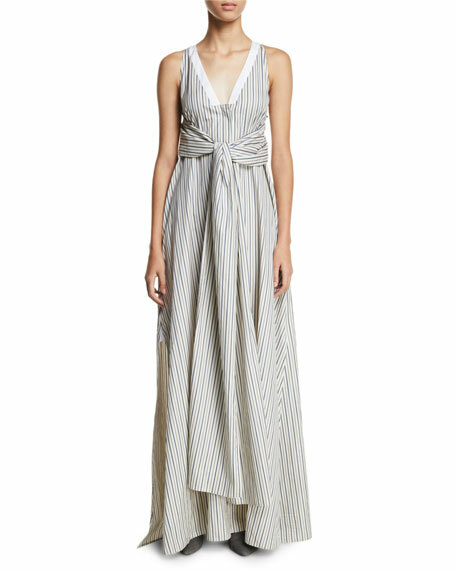 Rosetta Getty striped poplin daytime dress. Wrap panel can be tied multiple ways. V neckline. Sleeveless. A-line silhouette. Maxi length. Cotton. Made in USA of Italian materials.